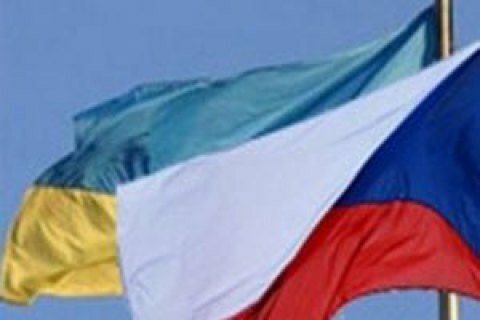 Czech Foreign Ministry expressed full respect for the territorial integrity and sovereignty of Ukraine. Official Prague does not recognize either self-proclaimed "republics" in Donbas, nor their statements, Czech Foreign Ministry says. "The Czech Republic considers the so-called "people's republics" illegitimate and refers to their "statements" accordingly, the statement reads. "The Czech Republic does not recognize these self-proclaimed "republics" and does not have any diplomatic or consular relations with them," the ministry emphasized. Prague declares full respect for the territorial integrity and sovereignty of Ukraine, and considers the Russian annexation of Crimea and the presence of several thousand Russian military servicemen in eastern Ukraine a grave violation of international law and a serious threat to peace and stability in Europe. Earlier, Germany and France, as well as the OSCE leadership condemned the statement of the leader of the "DPR" Oleksandr Zakharchenko. On Tuesday the leader of the "DPR" Zakharchenko said that the "DPR" and "LPR" create the "Malorossiya" state with its capital in Donetsk and a "historical and cultural center" in Kyiv. Later, "LPR" denied the statements of Zakharchenko. The representative of Russia in the Tripartite Contact Group for Donbas, Boris Gryzlov, downplayed the announcement of the creation of "Malorossiya" as "part of the information war" and noted that "this move will have no legal consequences". The Kremlin said that Zakharchenko's statement about Malorossiya was his "personal initiative." The US State Department brushed off the case as unworthy of an official response.